Its tough to start off with a blank screen. Gantt chart templates give you a head start in planning your project. Many of your projects probably share similar tasks and structure. If you’ve ever set up multiple similar projects, you know just how tedious of a chore it is. 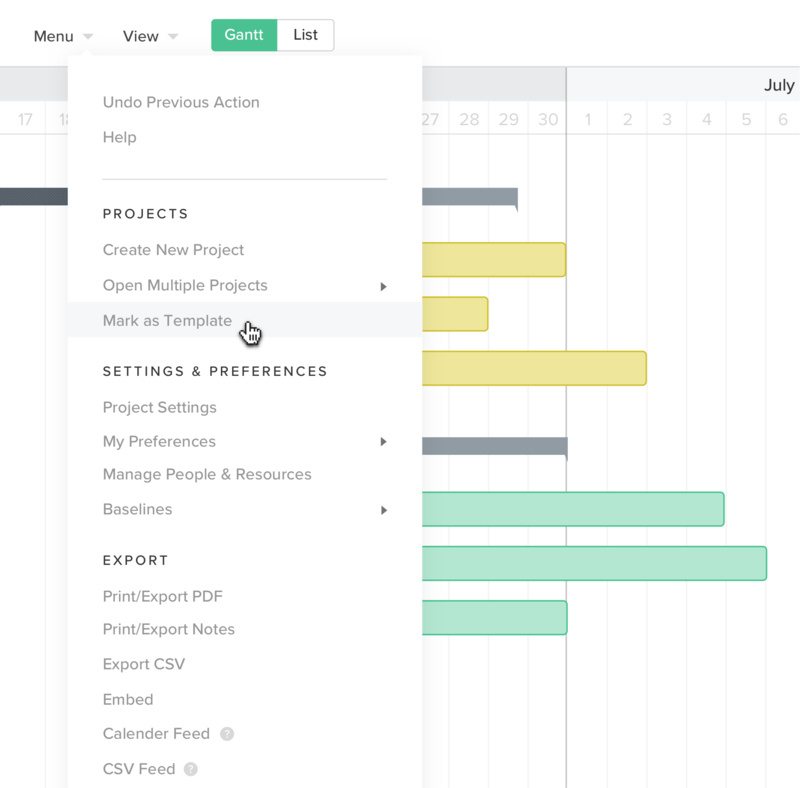 Gantt chart templates within TeamGantt save you time by allowing you to start off with the core elements shared by your projects. This means you never have to start with a blank screen when using TeamGantt. Creating a gantt chart template in TeamGantt could not be more simple. Once you build your first project simply select set as template from the menu. 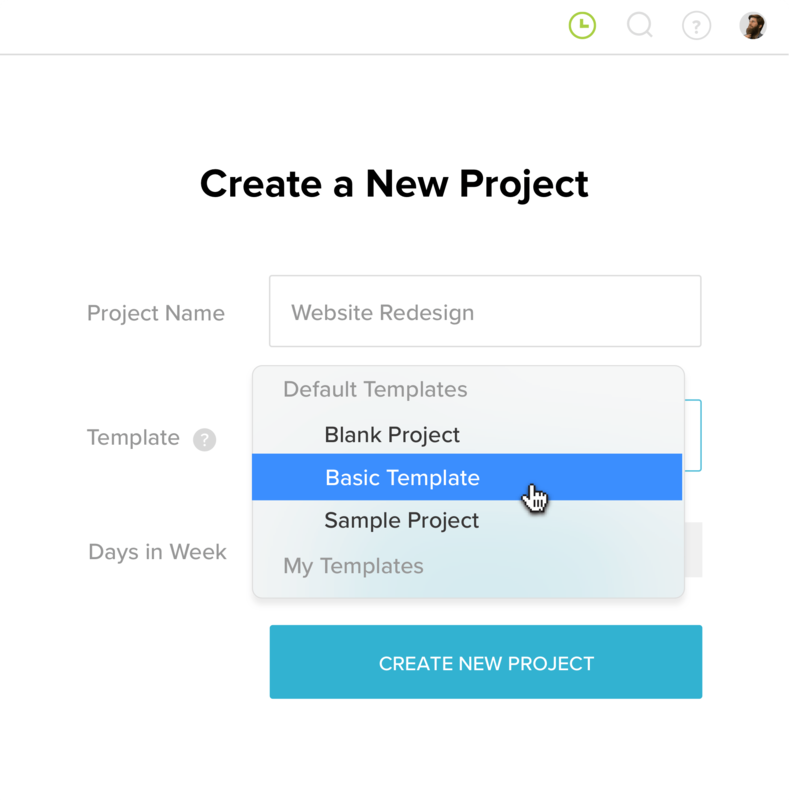 Now just name your template and you can use it when creating any new project. Your template evolves with your root project so it stays up to date. Applying your template is as easy as selecting it from a dropdown on the project creation screen. No more building new projects from a blank screen. All that’s left to do is update the tasks and invite your team.